TruePublica Editor: Originally posted 18th August 2015. It is interesting to read about BBC bias, especially now that we can add so much evidenced-laden information about Brexit to its long list. 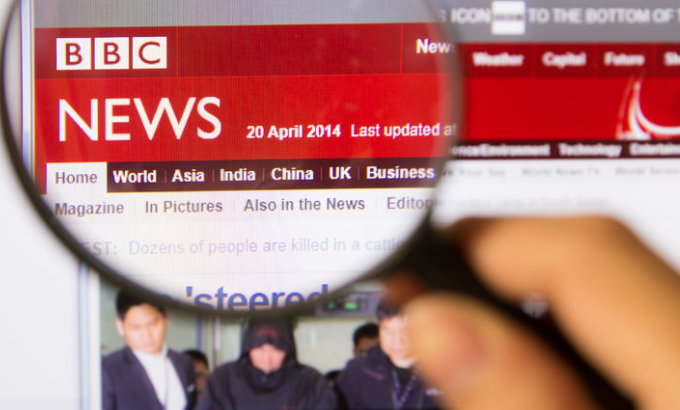 In August 2013, the Daily Telegraph reported a new study had found that the BBC “exhibits a left-of-centre bias in both the amount of coverage it gives to different opinions and the way in which these voices are represented”. There have been many claims such as this in the past. But when it came to Brexit, research (HERE and HERE) has found that the BBC had a pro-Brexit stance. And, it appears that the BBC had to work quite hard at it. Statements then emerged from in-depth analysis that “pro-Leave politicians were represented twice as strongly (on the BBC) as you would expect by chance” – and that – “the BBC was working hard to give pro-Brexit experts a helping hand.” And as Mike Galsworthy reports in Politics.Co.Uk – “The corporation appears to toe government hard-Brexit lines unquestioningly, there is a clear pro-Brexit stance from a few leading BBC personalities and a blind-spot for large anti-Brexit events.” Read on in the context of Brexit – its another piece in the puzzle that adds more weight to the debate that the BBC is a major cog in the false mouthpiece of the establishment. International broadcasters including the BBC repeatedly broke the Ofcom code by screening programmes funded by foreign governments, charities and NGOs, an investigation by The Independent has revealed. News films and documentaries were acquired for nominal fees and the identity of the funders not disclosed to the audience – in what has been dubbed a “£1 programme scandal”. In just one example we find that a London-based television production and public-relations company, received around £17m from the Malaysian government to promote the country’s interests. BBC Worldwide commissioned eight programmes from the company which dealt with Malaysia. In other words, the BBC, a UK state broadcaster was peddling propaganda for a foreign country. There is nothing new in the idea that the BBC regularly uses propaganda for foreign interests. For instance, the Palestine Solidarity Campaign forced the BBC to admit pro-Israeli bias in its broadcasts and online articles. In an investigation, it was discovered that Sarah Montague, breached the organization’s editorial standards on impartiality in a radio interview she conducted with Israeli defence minister Moshe Yaalon last March. This senior BBC presenter abandoned all her journalistic scepticism and allowed Yaalon to recite a series of lies and propaganda dispatches, uninterrupted and unchallenged. Many news outlets, including GlobalResearch reported late last year that “the London broadcaster’s biased reporting on Scottish independence is not an isolated incident, as the BBC has been blatantly warping, misrepresenting and omitting pertinent facts and narratives on numerous issues, from its coverage on Israel to its distortion on Ukraine“. The Scottish independence saga ended with one astonishing statement from a high profile employee – “Not since Iraq have I seen BBC News working at propaganda strength like this. So glad I’m out of there.” These are the words of the former economics editor of the BBC’s Newsnight show, Paul Mason. A glaring incidence of this was demonstrated when the BBC’s political editor, Nick Robinson, censored Alex Salmond’s lengthy response to a question regarding the rumours that the Royal Bank of Scotland (RBS) would move its headquarters to London if Scotland voted for independence. Despite Salmond’s comprehensive response to the question which gave the BBC seven minutes of video footage to edit for their report, Robinson decided to deceive the public and falsely claim he “didn’t answer” the question. This was part of a wider “propaganda” campaign of injecting fear and uncertainty into the idea of Scotland being an independent nation. In 1928 Bernays wrote – “The conscious and intelligent manipulation of the organized habits and opinions of the masses is an important element in democratic society. Those who manipulate this unseen mechanism of society constitute an invisible government which is the true ruling power of our country“. We are governed, our minds moulded, our tastes formed, our ideas suggested, largely by people we have never heard of. According to 59% of the respondents, fewer than 10,000 Iraqis died as a result of the war. The results are especially shocking because respondents were not asked to limit their estimates to Iraqi civilians or to deaths caused directly by violence. The state has since collapsed and will now take decades for political stability and general security to return. In the meantime, gang warfare and the return of extremists will plague the country and most likely, American troops will return to stop Russia from taking its place in the global geopolitical chess game. A trail of blood that goes from Iraq to London has been scrubbed almost clean and the guiding hand of misinformation, disinformation and state propaganda was used to great effect. One million civilian Iraqis are known to have been killed in the conflict but new information has emerged that a further 500,000 have died since. The BBC has was also caught engaging in mass public deception by using photographs of pro-Ahmadinejad rallies in Iran and claiming they represent anti-government protests in favor of Hossein Mousavi with the headline “Supporters of Mir Hossein Mousavi again defied a ban on protests”. When it came to the MH17 plane shot down over Ukraine every eyewitness interviewed by the BBC team specifically indicated the presence of a Ukrainian military aircraft right beside the Malaysian Airlines Boeing at the time that it was shot down? Is it because, as GlobalResearch indicates that the BBC team was unable to find any evidence that a rocket was launched in the area that the Ukrainian Security Service alleges to be the place from which the Novorossiya Militia launched a “BUK” missile. The BBC has succumbed to state narrative, irrespective of the plain truth witnessed by their own reporters on the ground. The BBC clearly and consistently demonstrates a bias in favour of the government and its agencies. Here is one shocking example of the BBC interviewing a disabled man called Jodi McIntyre who was attacked by the police and dragged from his wheelchair across the road, not once, but twice during protests against government student fees. In another example, The BBC demonstrate their pro-Israel or anti-Palestinian bias by attempting to prevent Tony Benn reading out an appeal to help the people of Gaza during the blockade and then explaining their reasoning. Tony Benn attacks the interviewer with fervent anger that BBC bias was due to Israeli pressure. Then there is the strangest live incident ever witnessed on British television via the BBC. On the world-changing incident of 9/11, that has since caused the death and displacement of millions, the BBC reported the collapse of World Trade Centre 7, the Saloman Brothers Building, a full twenty-three minutes before it actually fell. What are the possible answers to this? One can only speculate, but if ever there was a smoking gun for the so-called conspiracy theorists, this would be it. Click HERE to see that the BBC has blocked this video on the grounds of ‘copyright’ after 1.6 million views. Allegations that the corporation lacks impartiality and objectivity have regularly been made by observers and this is clearly demonstrated by the many examples of manipulation and deception perpetrated by a corporation whose existence relies solely on the people it is supposed to serve – but dictated to by an increasingly belligerent government that continues an existential threat over the corporation – or else. The BBC has totally discredited itself yet again as a news organization and revealed itself merely as a cog of the Ministry of Misinformation. It has made itself totally unreliable and is becoming more irrelevant. This is evidenced by the BBC’s flagship news show that is run by an introspective elite increasingly talking to itself. The programme’s audience has roughly halved in little more than a decade as a result.